Parent, how much time do you actively spend each week smothering your children in God’s Word? Be honest. Look around your home. Are the scriptures literally written on the doorposts of your home? Can you children literally be encouraged by just looking up at the walls in their room or in the living room and see God’s Word? 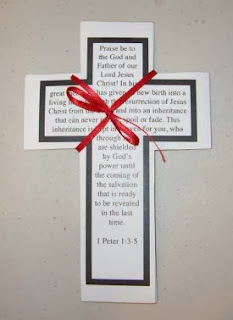 Scripture Stickies provide an easy/cost-effective way to saturate your children and home in God’s Word. Scripture Stickies were created for the following purposes. Put them inside your spouse’s briefcase for a reminder of the Word at work. 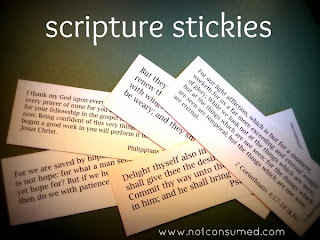 This is why I highly recommend Scripture Stickies. You can have the Word of God in your home in a creative, cost-effective way. You can visit the website here.